Book review — Paul Offit's 'Pandora's Lab: Seven Stories of Science Gone Wrong' – AiPT! We rightly revere science, but that doesn’t mean we should overlook its mistakes. 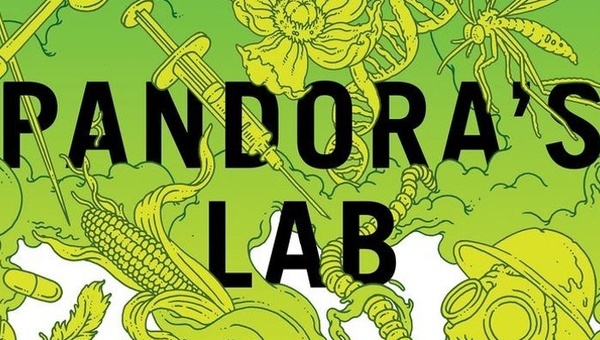 For readers born after 1990, picking up Paul Offit’s latest offering, Pandora’s Lab: Seven Stories of Science Gone Wrong, could be a profoundly shocking experience. Reading about the worst blunders of science is a bitter pill, but one that could cure our worst cognitive ills. Throughout the 1960s and 1970s, images of the lobotomy were everywhere. From Jack Nicholson in One Flew Over the Cuckoo’s Nest to Jack Kerouac, everyone riffed on holes in heads. It’s hard to imagine why, when one wades through the pond of Offit’s portrayal of our parents and grandparents, lining up to get their own ice pick-driven piece of mind. Lobotomies were somewhat common for so many decades, it’s a wonder the stain left on medical history isn’t larger. Today, they’ve been relegated to the domain of cartoon mad scientists and haunted house decorations. Dr. Walter Freeman, the so-called “Henry Ford of Psychiatry,” rode his “lobotomobile” from coast to coast in the summer of 1948, visiting 55 hospitals in 23 states, plus Canada, the Caribbean, and several countries in South America. Freeman performed his last lobotomy on Helen Mortensen, a longtime patient receiving her third iteration of the procedure. By the time Mrs. Mortensen bled out from cerebral hemorrhage in 1967, over 100,000 estimated people worldwide had lost themselves at the end of the knife. Lobotomies are only one of several topics covered in Pandora’s Lab. Offit also tackles the current raging opioid epidemic, our search for the evils of fat and cholesterol, eugenics, demonization of pesticides, the tragic story of Fritz Haber’s invention of “brot aus luft” (“bread from air”) becoming “blut aus luft” (“blood from air”), and Linus Pauling’s manic obsession with Vitamin C.
These all share a common theme: someone tries to do the right thing in the best possible way, and fails so horribly that the long-lasting consequences overshadow all else. It’s not a far throw to the advice of Hippocrates in Of the Epidemics: “primum non nocere.” First, do no harm. In every single one of these cases, some group was focused on something other than the evidence. This book sets out the case for careful and methodical conduct in matters of science so well, that it would be far from out-of-place in the first year reading list of any scientific graduate or medical curriculum. Students of today are instilled with such a reverence for scientific wonder and creativity that they have few, if any, cultural touchstones for how science and medicine change. Pandora’s Lab is a cure for that static image of a truly dynamic field. Brevity is the soul of wit. First and foremost, Offit’s book is amazingly short. It packs such a punch, and covers such a large amount of ground on these topics, that it’s an instant classic. The chapter on Fritz Haber’s “blut als luft,” for example, is by far the best treatment of the topic available in as many pages. Resonance with a larger audience demands that you show and don’t tell. If you want someone to agree with your views, it’s best to lay out the evidence as dispassionately as possible, without drawing conclusions, until the results are self-evident. Several of the topics covered in Pandora’s Lab are still very controversial, DDT most of all. But Offit’s coverage leaves little to no wiggle room for doubt, because it so effectively frames the argument from the basic facts of the situation. No suspicious stone is left unturned and no unfavorable fact is forgotten. There is little, if any, grandstanding. While preaching to the choir is satisfying, and it may sell a great many books, it does very little to change minds. In Pandora’s Lab, Offit takes aim at polemics, and gracefully avoids the polemic pit himself. Even in the depths of controversial developing topics like e-cigarettes and cancer screening, he avoids making sweeping generalizations that could buckle under the test of time. His statements are instead often concise and reflect the reality of the situation to the best of our knowledge. Clarity is king. Offit articulates the basic tenets of critical thinking with ease, and even goes so far as to bold them in the text. It’s all about the data. Beware the zeitgeist. Be wary of quick fixes. Be cautious about being cautious. If there were set of advice given to every burgeoning scientist/physician, these would be solid inclusions. Good? Bad? Not AS bad? What does the data say? While these qualities make Offit’s book a treasure, they do come at a price. The brevity of Pandora’s Lab, for example, is at times directly linked with its bluntness. Some chapters of Offit’s book may leave the reader wishing they’d waited the requisite 30 minutes after eating, but the candor and solemnity that Offit grants his subjects is refreshing. Offit’s aversion to grandstanding has only one blindspot. His treatment of Rachel Carson in the latter half of the book could only be described as “fervent.” Silent Spring, Carson’s magnum opus, has been discussed to death in many skeptical articles, my favorite of which is this treatment from Orac. This discussion mostly pertains to whether or not we should bring DDT back. (Hint: while we shouldn’t, in America, there are probably still places where the benefits outweigh the costs). A controversy this delicate is treated by what can only be described as a mallet by Offit. This is a benefits/costs discussion that almost always splits along the lines of preventative medicine and therapeutic medicine, and Offit (a man whose research so often falls in the former camp) fails to recognize some plainly evident costs. There is some quality evidence to believe that DDT can cause cancer at a molecular level, even if large scale epidemiological studies of workers exposed to the chemical have failed to demonstrate oncogenesis is actually happening. Bad for us. Bad for everyone? But where Offit grandstands on the case of DDT and Rachel Carson, he avoids it in other areas, even to the book’s detriment. There are plenty of cases of regulators, citizens, and scientists blind to folly in modern society, and they all get a pass from this book. As just a small example, data is far from the heart of medical regulation in 2018’s America. There is still no nationwide mandate for hospitals to collect or disseminate data on incidents of malpractice in their wards. As the reader nears the end of part one, a question forms in the mind: “What widely accepted modern truths will have a place in the graveyard of ideas?” As soon as this thought forms, it materializes on the page. Offit devotes the last several chapters of Pandora’s Lab to what, if anything, we can learn from these mistakes. His overarching lesson is clear and reiterated several times in reference to different stories: “It’s all about the data.” The credentials of a scientist are meaningless if the data is bogus. Every misstep in this book can be traced back to this one failing. In every single one of these cases, some group, whether it was an ignorant public, a wishful medical community, or a lethargic government, was focused on something other than the evidence. This lesson told in Pandora’s Lab is the bitter pill our society needs. It would be easy to point out our alternative fact-laden news cycle, a quick-fix hungry public, or the proliferation of pseudomedicine and quack treatments, but it rings more true to point the finger at ourselves. The halls of scientific and medical experts are perhaps the place where notions like these are needed most. We are so focused on emulating genius and empathizing with those who possess it, that we forget about the fundamental fallibility of human nature. All human nature. Whether it’s the Nobel Prize winning chemist (Pauling) or the seductively lyrical writing of a respected environmentalist (Carson), no man (or woman) is more than the sum of their data.